​​Kyle Schwarber, there's a likely suspension coming your way. After the ​Cubs slugger was called out on a check-swing to end another Chicago defeat, he charged third-base umpire Gabe Morales and was promptly thrown out...after the game was already over. 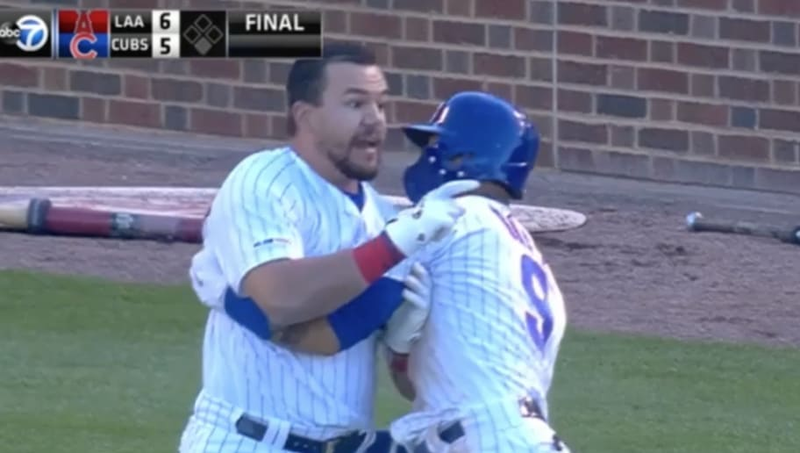 Surely there's room for reasonable discourse between umpires and players over a call or two, but this level of pure madness is never okay, as Morales was fearful Schwarber would resort to violence given his rash reaction. Was the call questionable? Absolutely. Schwarber really isn't one to lose his cool like this, as his usual calm demeanor was nowhere to be found in this moment of pure vitriol. Schwarber is one of the most recognizable nam​​es in the game, and this definitely isn't what MLB is looking for in terms of how he should carry himself in the heat of the moment. The Cubs lost to the Angels, 6-5, on Saturday afternoon.